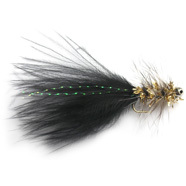 The Czech Nymph has had a huge impact on river fishing for both trout and grayling. 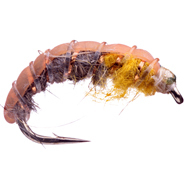 It is heavily weighted, sinks very quickly and is fished on a short line in the “rolled nymph“ method. 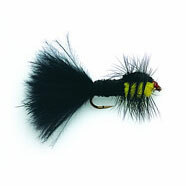 The Czech Nymph is a great fly when the fish are feeding on the bottom and is particularly effective in the autumn. A number of dressings have been evolved to suit this style of fishing. All of them incorporate weight to help them sink. The Czech Nymphs helped the Czech National Fly-fishing Team win the 1990, 1996 and 1999 World Championships. 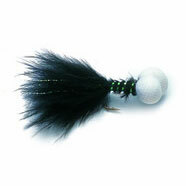 They are tied on Kamasan B100 hooks.